Since its launch in 1998, Google has been a thought leader and innovator in shaping how we search online. From its earliest form and the introduction of its PageRank algorithm, Google brought a new approach to search and has stayed on the bleeding edge of the industry ever since; however, blazing a trail where no one has gone before can be a rough journey and the process of discovery often includes unexpected challenges and problems. Google search is still a work in progress and likely will continue infinitely as they tweak and re-tweak the service to deliver ever higher quality and relevancy for their users. Google has more recently expanded their product portfolio to include many other services beyond search and one of the most important of these is Places. Launched in 2009, Places features dedicated pages for businesses and places as it were. Type in just about any business and city into Google and you’re bound to find a Places listing. A typical Places listing will contain an address, map, categories, operating hours, reviews, photos, videos, citations and a description of the business. Places listings are created automatically by scraping the web for relevant information on a business and marrying it with an address and/or other contact details. 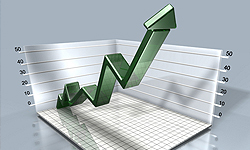 It’s an ambitious task and Google has been able to populate 20+ million Places listings in the US (as of Nov. 2010). With the attempt to provide the world with information about your business has come some challenges. It seems that Google may be giving too much authority to off-page information especially pictures and titles; whereby it’s not uncommon for competitor logos and titles to be shown in the wrong Places listing. So in an attempt to fill up Google Places with information, Google may have compromised the integrity of many businesses. On the reverse side, owners are able to claim their Places listing through either phone or post mail verification at which point their able to customize their Places listings to a degree. The problem is that with Places in its infancy, not every setting is working as advertised. Google is aware of the problems associated with Places and is working to improve them. To be fair, Places is still in its infancy and much like Google’s PageRank algorithm experienced growing pains, so too has Places. In the end Places is a potential game changer for SEO, the sheer amount of real estate Places listings take up on the first page of Google cannot be ignored. The functionality and implementation of Places has improved and Places listings are now merged or even featured in organic search results, particularly when the search being performed is local in nature. So with the good will inevitably come some bad, but as we’ve experienced with so many Google products, they just keep getting better. Thanks for your comment, Jeanette! Claiming, optimizing and making full, ongoing use of your Google Places listing is important for any business; even if your target market is not primarily local. Your listing and site will still be found in Google searches, but having a Places listing will benefit you locally while also providing additional information to your potential customers as well as creating an opportunity for you to interact with users who might comment on your listing or to offer them discounts, promotions or updates. So, yes, Google Places is important for you too! Still I wonder about places impact on search, and it seems not only I. 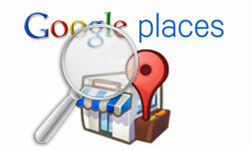 Given places helps in organic listings regarding the location – what is about all other locations? An example: a company far from big centres runs successfully an Ecommerce-website with business all over the country and abroad. As far as I understand, places (among other functions) helps this company for a better listing around where it is located. But what happens to the listing of the same company in big cities? In other words: should this company claim it's places listing?